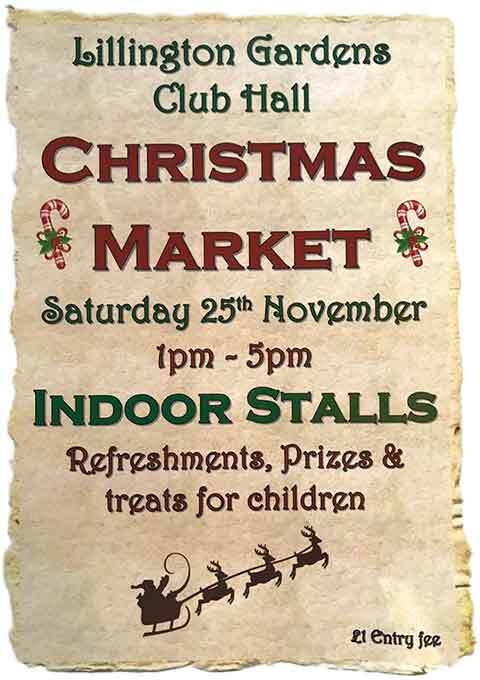 Indoor stalls, refreshments, prizes and treats for children. Lillington Gardens Club Hall, Sat 25th November at 1-5pm, entry £1. 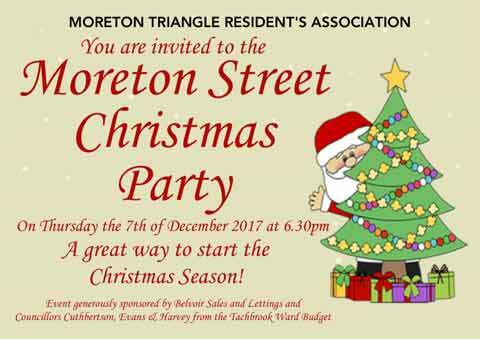 Moreton Triangle Resident’s Association party with seasonal refreshments, carol singing and more. 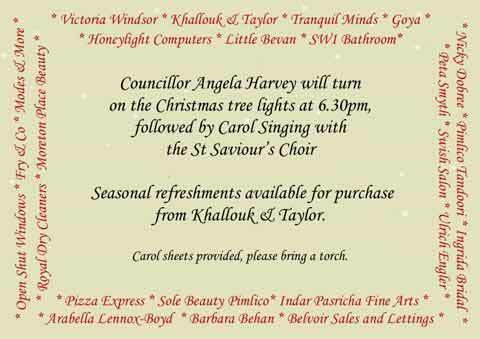 Councillor Angela Harvey will turn on the Christmas tree lights at 6:30pm. Moreton Street, Thurs 7th Dec.
Separator image Posted in Event and tagged with christmas.